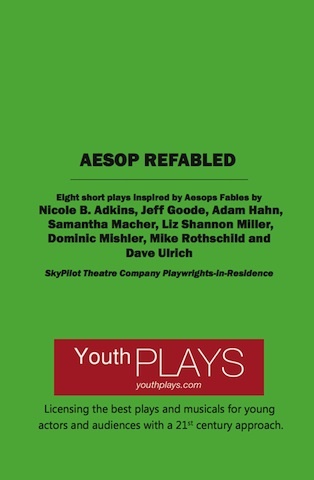 The first book of plays from SkyPilot Playwrights Wing! One of L.A.'s edgiest theatre companies brings a modern spin to Aesop's classic yarns, as eight timeless fables get a 21st century reboot. Cupcake bullies, tween warriors, scheming cheerleaders and apocalyptic yellow butterfly people... Every tale takes an unexpected twist in this innovative offering!